In the state of the Arc, this new company Arc Mobile is going to bump the giants Cherry Mobile, and MyPhone. 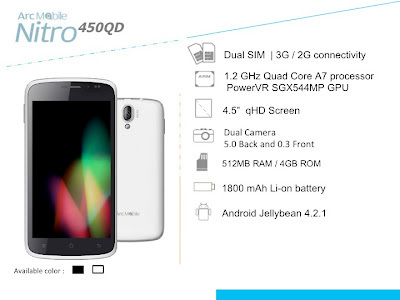 Anyway, lets not talk about that, bringing this new edge of mobile "Arc Mobile Nitro 450QD". By the name itself 450QD which literally means 4.5 inch display, running on the latest Android software JellyBean 4.2.1, and still Quad Core 1.2Ghz A7 processor, and a quite long lasting 1800mAh battery. Since we are new to this just sprouted company, lets share some facts about them. By the way more specification below. 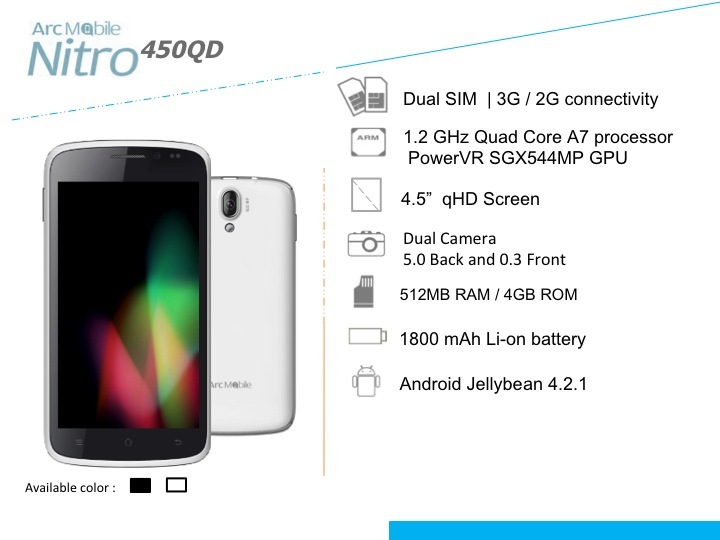 Arc Mobile Nitro 450QD is priced at Php5,800 SRP. Available in the Philippines this July 2013. 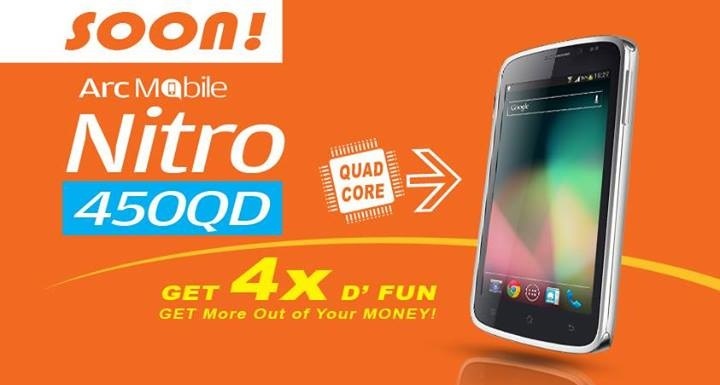 Kindly share your experiences with Arc Mobile Nitro 450QD by posting at the comments. Thanks! san kumukuha ng apps? google playstore ba yan? tska dualcore nga eh yung RAM 512mb lng.. ba yun?!?! ok na din 512 RAM sa dual core, at opo sa playstore ka mag download ng apps. Sir hindi po yung phone ang tinutokoy nya. 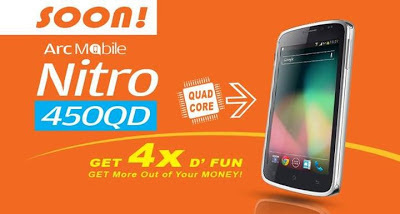 Pero tama po kayo dyan quad core po itong ArcMobile Nitro 450QD. may i know if maganda po b performance ng arc mobile and kaninong technology adopted?